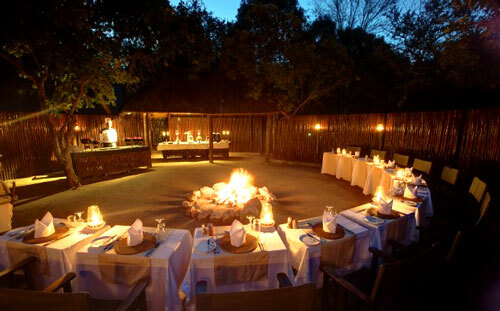 Reminiscent of an East African safari camp of old, Buffalo Camp offers visitors a unique and intimate experience of the African bush. 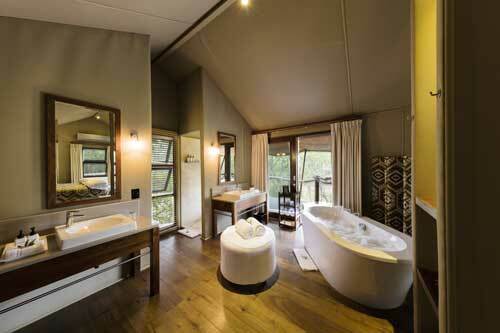 It is ideally suited to those who wish to discover the bush without compromising on comfort. 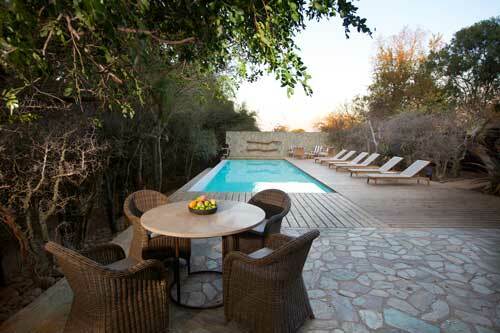 A tranquil swimming pool lies tucked away and provides the perfect spot to while away idle moments between dawn and evening safaris, for the more adventurous join your ranger on a bush walk. Accommodation ten luxury tents, each sleeping two guests, are set on stilts in the upper reaches of tall trees, overlooking a seasonal river. Each tent has private bathroom facilities and is interconnected to other tents by wooden walkways high above a sandy river bed. 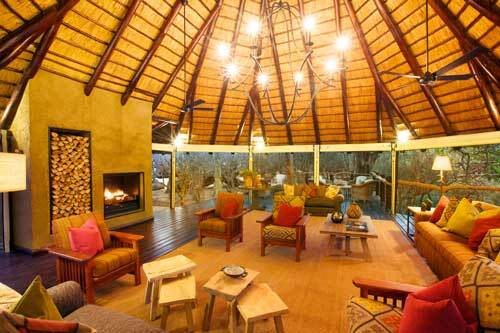 Set in an indigenous garden, the accommodation facilities, thatched bar, dining-room and campfire area contribute to the intimate ambience of the camp. At night, lanterns, rather than electric lights, glow under the canopy of treetops. The camp's refreshing swimming pool offers respite from the heat of the African summer or the day's adventures may be shared in the cool open-air bar with its spectacular view over the river bed. Since the camp accommodates only 20 guests, special attention is devoted to personalized service. 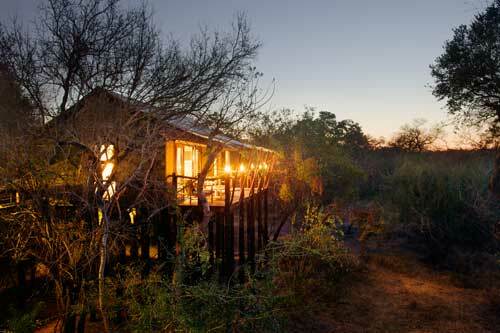 With the guidance of knowledgeable game rangers and its unrivalled comfort, Buffalo Camp is a truly authentic way to experience the African bush. Twin beds with ensuite showers. Eight luxury canvas tents, each with accommodation for two guests, are set on stilts amongst the canopies of ancient trees which line a seasonal river. 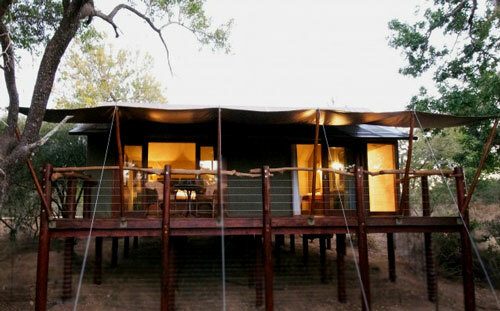 Each of the en suite tents are inter connected with wooden walkways, which run high above the riverbed. 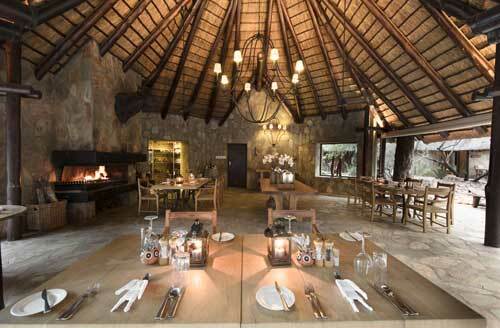 Landscaped by mother nature herself, the entertainment facilities which include lounge, dinning room and boma are surrounded by an indigenous garden. 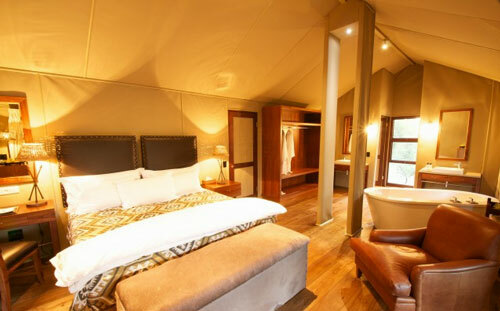 Each tent features twin beds with ensuite shower bathrooms. Accompanied by highly skilled game rangers, guests set out on early morning and evening game drives, to discover the wonder of the African bush and a unique encounter with its majestic inhabitants. 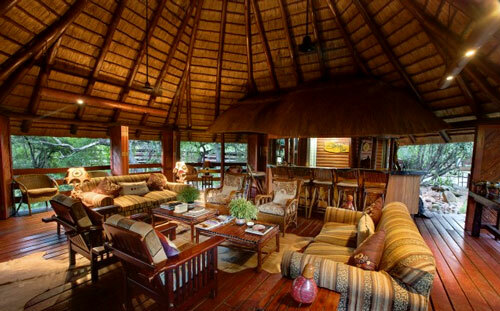 In addition to our inclusive safari experience, guests are welcome to participate in numerous other activities. 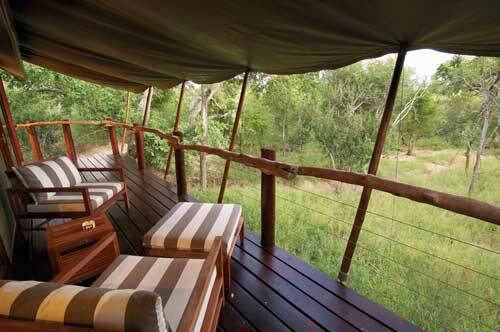 Guests are encouraged to join their ranger on a bush walk to explore the environment. Excellent conference facilities, which include state-of-the-art equipment, offer corporate visitors a unique bush venue. 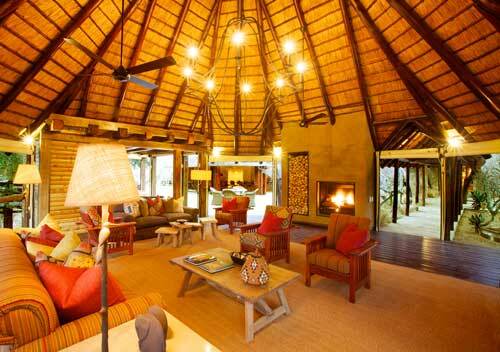 Kapama Game Reserve remains the finest incentive destination in the region. The reserve, adjacent to Eastgate Airport, can offer both land and water activities.